success with the marque. 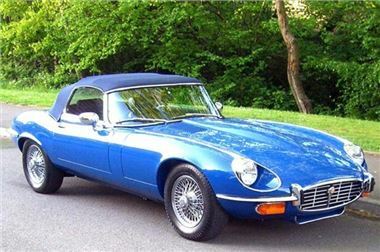 Early Jaguar entries include a concours S2 E-Type FHC, previously sold by Barons in 2006 (estimate £30,000-£40,000). Barons is also inviting entries from owners of other classic machines for June 16th. Two early entries include a pair of stately 1920’s Rolls-Royce 20hp Laundaulet Limousines,with original coachwork. The 1927 Park Ward-bodied example, registration number RR 8426, carries an estimate of £43,000-£50,000, while the outstanding 1929 Hooper-bodied car is estimated at £33,000-£36,000. They can be previewed on Barons' stand at Beaulieu on May 16th and 17th. (£50,056), 1959 XK150S 3.8 FHC (£50,056), 1968 E-Type S2 Roadster (£41,807), 1969 E-Type S2 FHC (£31,000), 1965 MKII 3.4 Saloon (£33,000), and 1961 MKIX (£17,200). Barons has also sold a number of Jaguars with fascinating histories, including, most recently,the ex-Wilkie Wilkinson 1961 S1 E-Type FHC, registration WAG 7, which achieved £32,346 at Barons’ Sandown Park sale in December 2008. ‘WAG 7’ was sold on behalf of the estate of the world-famous bodybuilder Charles 'Wag' Bennett. Bennett is perhaps best-known for discovering Arnold Schwarzenegger who would, in later years, refer to him as his ‘British father’. Wag Bennett died in September 2008 and the E-Type was discovered in a garage, where it had been stored, undriven, since 1981. A specialist dealer in classic Jaguars in the 1980s and ‘90s, Barons’ MD Laurence Sayers-Gillan also used to own and run a Jaguar racing team, campaigning a 550bhp V12 S3 Saloon in the AMOC Inter Marque Championship and other national race series. In addition, he was a founder member of the Jaguar Car Club and served on the Jaguar Drivers’ Club competition committee.